A clash of cultures and a smile of recognition are at the core of this uplifting documentary. A young Israeli couple set out to the Far East – not an unusual occurrence in contemporary Israeli reality. 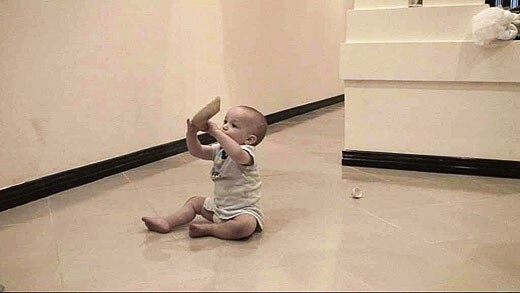 But this couple and their baby are no ordinary pair. They are emissaries of the Chabad Movement who are sent to Vietnam - on a one-way ticket- to encourage and create a Jewish community there. The encounter with the frantic and exuberant life in Ho Chi Minh City is a source for much confusion and amusement. 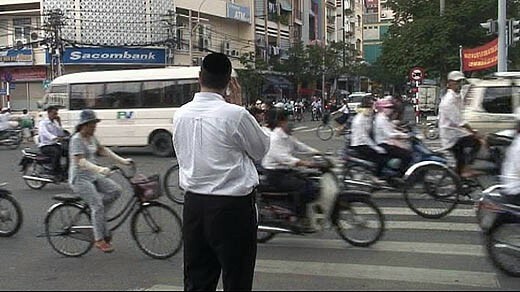 The search for a real Jewish community in Vietnam is also a point of contention – as they soon discover that the local Jews are only marginally interested in a Jewish connection and many of them are married to locals. In the face of much uncertainty Rabbi Menachem and Racheli Hartman are able to overcome their apprehension toward their foreign environment because of a deep belief in the magnitude of their mission. And so their meeting with a new and strange culture challenges them in ways that are both touching and baffling. 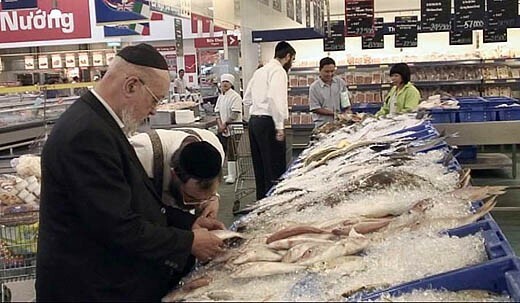 Menachem and Racheli arrive in Vietnam in the weeks leading up to Rosh Hashanah – the Jewish New Year. Frantic to have everything set up before the holiday begins; the couple embarks on an anxious journey to acquaint themselves with the local customs, while maintaining their own strict adherence to Jewish law. 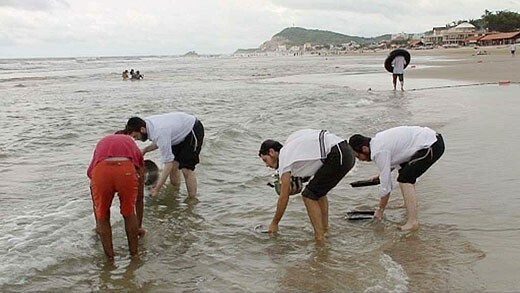 One of their chief challenges is finding the local Jews and persuading them to then attend religious services. 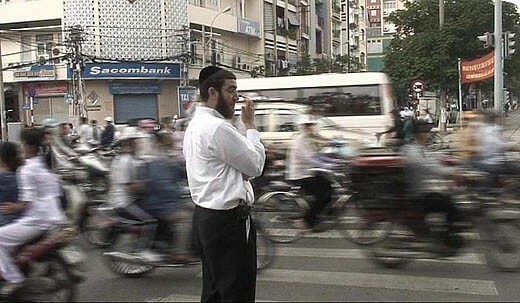 The Jewish community in Vietnam is an eclectic mixture of ex-Israelis and Jews from other parts of the world who have little identification with their heritage. And so - as their worried families back home follow their acclimation from a far – Racheli and Menachem undertake the work of "bringing the Messiah" with a commitment that is. Of all the "specials" and holiday programming that are vying for our hearts and remote-controls this holiday season, we have chosen to tell you about the modest documentary "Gut Shabbes Vietnam". Devoid of special effects or puffed up guests, this film is able to convey the spirit of the holiday – which is not solely based on the fear of the family meal. 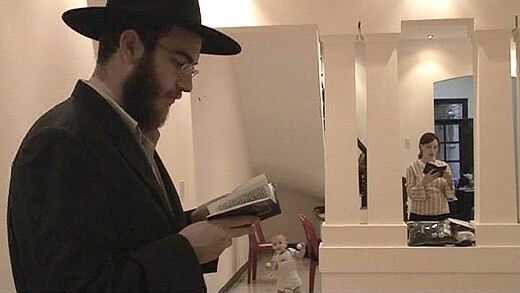 Ido and Yael Zand followed a young Haredi couple –Racheli and Menachem Hartman- who leave Israel with their infant son to build a Chabad House in Vietnam. As with all families who are sent on this sort of assignment, their mission is for life – or at least until the Messiah comes. Whatever happens first. The couple meet obstacles along the way as they attempt to prepare a real Kosher Rosh Hashanah. They encounter assimilated Jews and their non-Jewish wives, non-Kosher food and neighbors who don't really know how to relate to a baby with non-slanted eyes. But none of this manages to damped their spirits and it is this sort of conviction that makes even secular people to identify with their mission. Following the Lubavitche Rebbe's directive, his disciples were sent all over the world to set up Chabad Houses which serve as Jewish centers that cater to the various needs of local and transient populations. Who among us has not stumbled upon a Chabad House during our travels – and maybe even contemplated having a meal there as a reminder of an authentic experience. The film "Gut Shabbes Vietnam" in a small, private film about individuals and the way in which they go about setting up a Chabad House in what is probably the last place you would think to have a Jewish center – Saigon, Vietnam. Menachem and Racheli Hartman are a young couple from Jerusalem, who together with their infant son, buy a one-way ticket to Vietnam . The film portrays the pains of adjustment and the shock of a new culture that they experience upon their arrival in this Communist country. The Hartmans experience an exhausting journey as they try to set up their traditional household so far away from what they are used to – and on top of it all, the container with all of their stuff has not arrived and it is only a few days before the Jewish New Year. Their goal is to be able to set up in a proper way and alsoto invite the small existing Jewish community in Saigon. 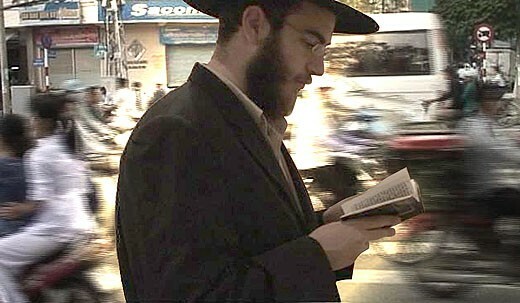 Just as you do not need to be a religious Jew in order to benefit from the services that Chabad provides worldwide – so it is that you do not need to be religious to enjoy this film. The extreme differences between the Hartman family and their new environment create what is a universal story. One that is filled with intriguing moments that are at times even humorous. This is a story about conviction and courage that addresses the viewer without preaching. There is no need to be a believer in order to be moved by this film. And of course it is impossible not to be impressed by this young couple and the organization which stands behind them. Filmmakers Yael and Ido Zand were wise to choose scenes which are interesting and symbolic in the struggle to acclimate to a new country. The scene where Racheli worries out loud about her anxiety that the baby formula they have with them will be finished before their shipment arrives, saying that "only God knows" is an especially moving moment. The general outcome is a film that brings a curious phenomenon to our attention - and broadcasting on Rosh Hashanah especially is poignant since this was the holiday they worked so hard for in the film. Gut Shabbes Vietnam and Shanna Tova Israel.